If you’re like most parents, you probably struggle to get fruits and veggies into your kids. Kids want quick snacks after school or between school and their other activities. During the summer, they need snacks that they can take with them to the pool, park, summer camp, sports, vacations and all of their warm weather outings. With school out of session, kids aren’t getting the nutritional benefits of a school lunch, either. When kids eat in the school cafeteria, they’re served a nutritionally balanced meal that includes fruits and vegetables. One problem I have with serving healthy snacks on the go is the mess they make. My younger daughter enjoys bananas, but sometimes she prefers to make one into a science experiment rather than eating it. It’s hard to chow down on bananas and many other fruits on the go, including on car trips. They take time to prepare (think washing and peeling) and they’re messy to eat. Bare Snacks, creators of Snacks Gone Simple, sells genuine fruit chips that contain no oil, preservatives or artificial ingredients. Their banana chips come in simply (banana flavor only), plus cinnamon and cocoa varieties. 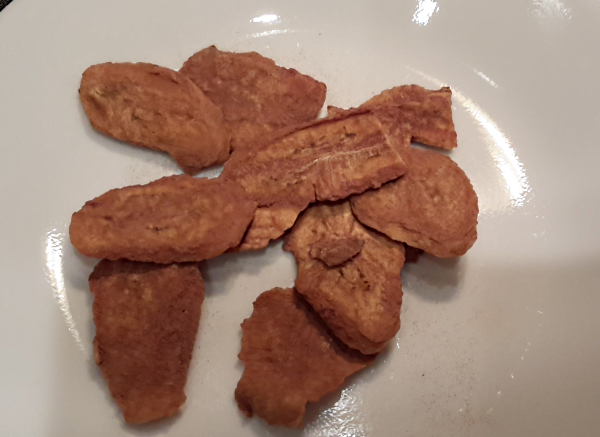 I especially liked the cocoa flavor banana chips, though they all taste great and make a delightful alternative to other types of quick snacks. Many kids already love bananas, but they tend to go bad quickly and can be messy for little ones to eat. Some kids can’t seem to eat bananas without squashing them, and they’re hard to eat when traveling. 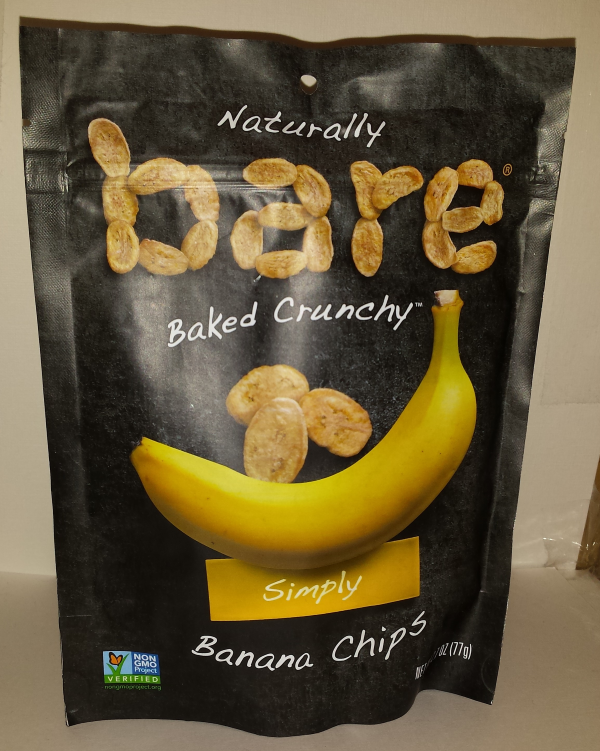 Bare Snacks banana chips contain 120 calories per serving. 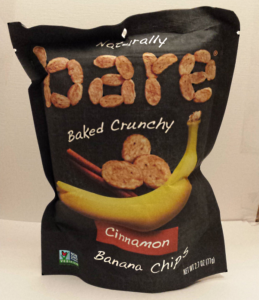 In addition to the banana chips, Bare Snacks also offers a number of different varieties of apple chips and coconut chips. Fish may be one of the hardest healthy foods to get children to eat – right up there with vegetables. Of course, fish is also a main source of healthy omega 3s, which are believed to benefit a wide range of diseases and disorders, including asthma, ADHD, depression, dementia and arthritis. Coromega’s omega 3 Big Squeeze makes adding omega 3s to anyone’s diet a breeze. Add a teaspoon to a smoothie or other beverage for a healthy helping of omega 3 in a tasty citrus flavored base. The product comes in orange, lemon and mango varieties. 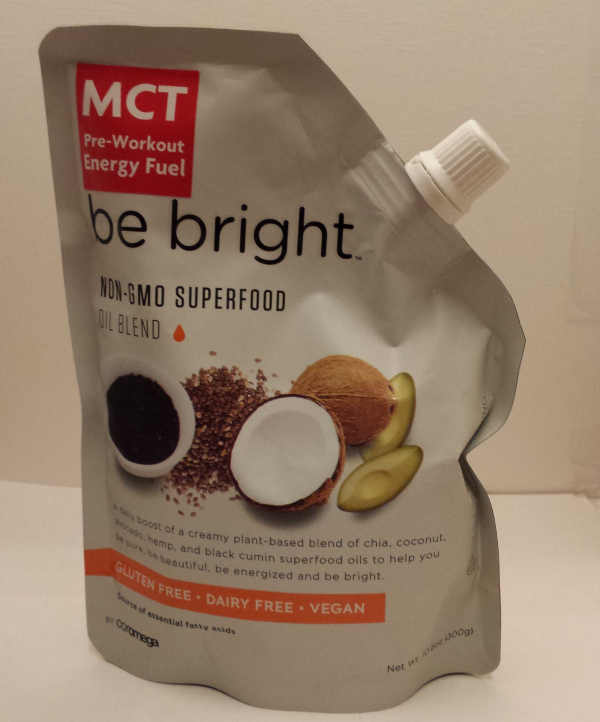 Be Bright SuperFood Oil blends chia, coconut, avocado, hemp and black cumin oils with a hint of organic, non-GMO cane sugar into a combo loaded with omega 3, 6 and 9, plus antioxidants, vitamins and minerals. It can be taken straight up or as an addition to favorite smoothies or other drinks. Try adding Big Squeeze or Be Bright Superfood Oil to this yummy homemade Orange Julius copycat recipe. 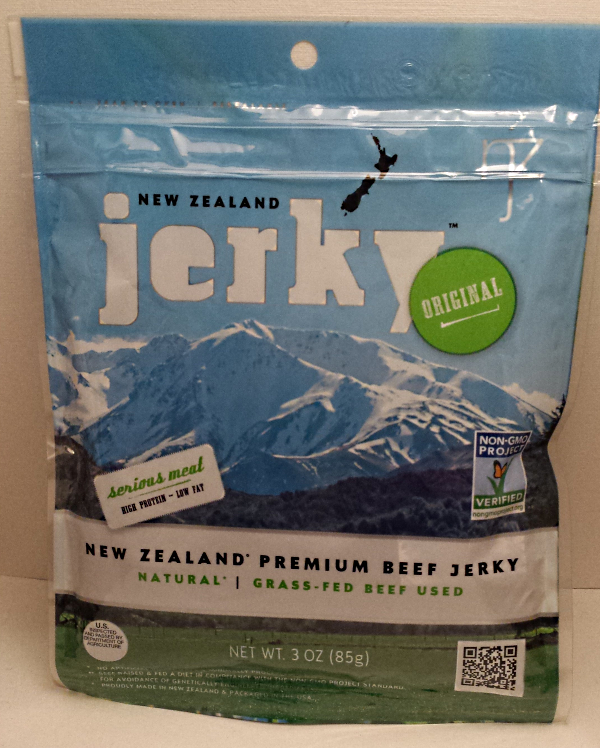 My 6-year-old thinks that New Zealand Jerky should change their label to read, “The Best Jerky in the World.” Free of hormones, antibiotics, MSG and preservatives, New Zealand Jerky comes from grass-fed beef who are free to wander green pastures in New Zealand. The company’s jerky products all contain more than 30 grams of protein per serving with no saturated fat. They’re gluten free and free of nitrates and additives, plus they’re Non-GMO Project Verified. The product is shipped in bulk from New Zealand and packaged in the U.S.A. It’s no wonder my daughter couldn’t get enough of this stuff. 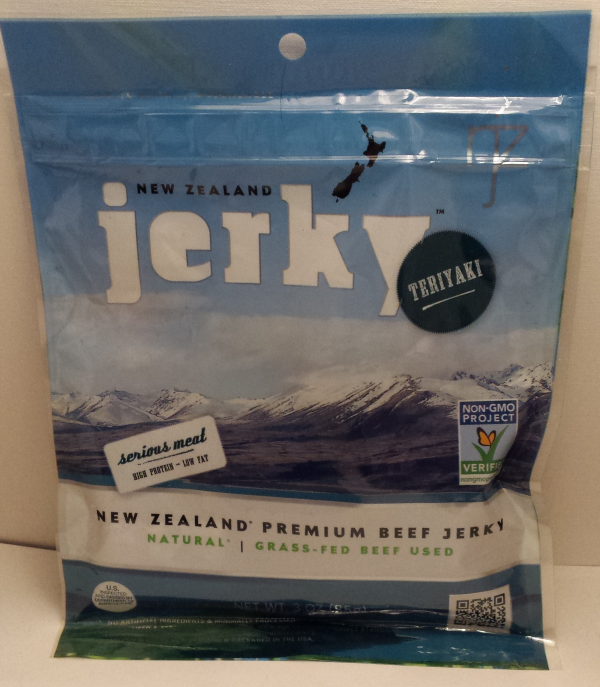 We tried all three New Zealand Jerky products – original, peppered and teriyaki – and they all tasted fantastic. They’re slightly less tough than most jerky and seem less salty, both of which are huge pluses in my book. What are your favorite away-from-home snacks for yourself and your kids? Do you struggle to resist doughnuts in the kitchen at the office because you don’t have any healthy alternatives on hand? Do your kids generally eat fruits and veggies without complaint? I received sample products for review purposes. All opinions are my own. Wow! $10 Store Credit For Amazon Prime Day Plus More Deals! Subscription service: What’s in a Graze box?